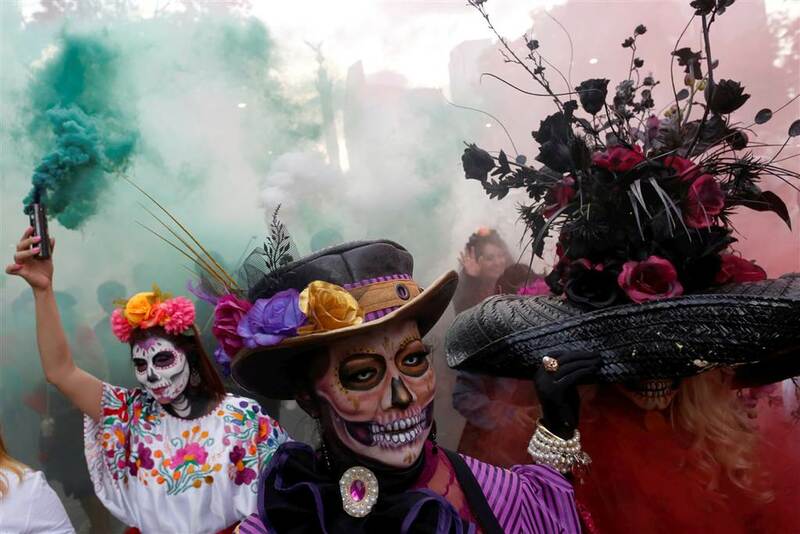 The city was awash with colorful festivities for the annual Grand Procession of the Catrinas, leading up to Day of the Dead, Nov. 1-2. The Calavera Catrina, or Dapper Skeleton, is the most representative image of the Day of the Dead, an indigenous festivity that honors ancestors and occurs from Nov. 1 to Nov. 2. 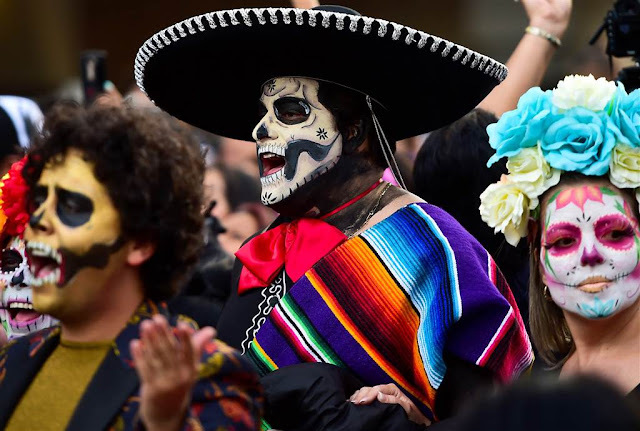 The figure of a skeleton wearing an elegant broad-brimmed hat was first illustrated as a satirical engraving by artist Jose Guadalupe Posada sometime between 1910 and his death in 1913. Originally, the Day of the Dead as such was not celebrated in northern Mexico, where it was unknown until the 20th century because its indigenous people had different traditions. 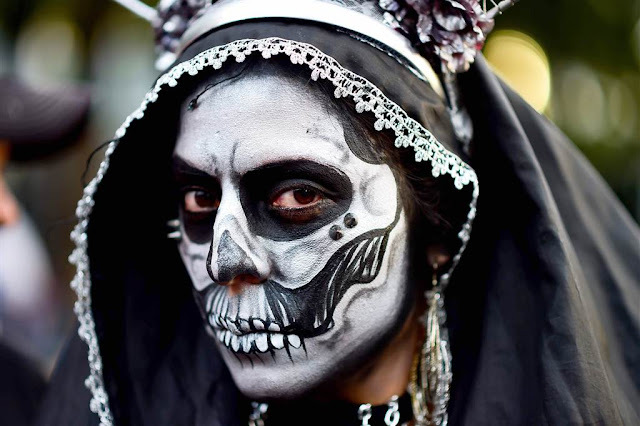 Rituals celebrating the deaths of ancestors had been observed by these civilizations perhaps for as long as 2,500–3,000 years. 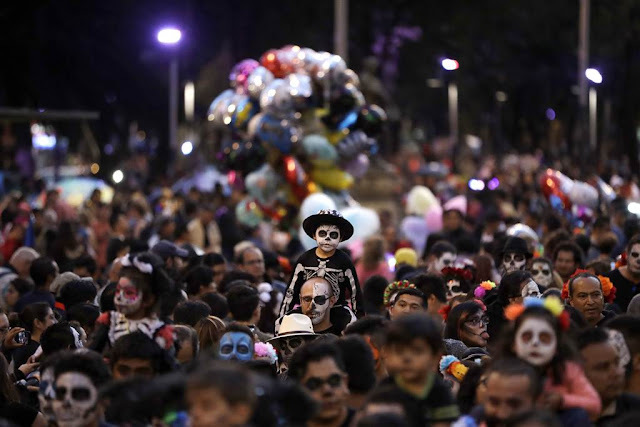 The festival that developed into the modern Day of the Dead fell in the ninth month of the Aztec calendar, about the beginning of August, and was celebrated for an entire month. 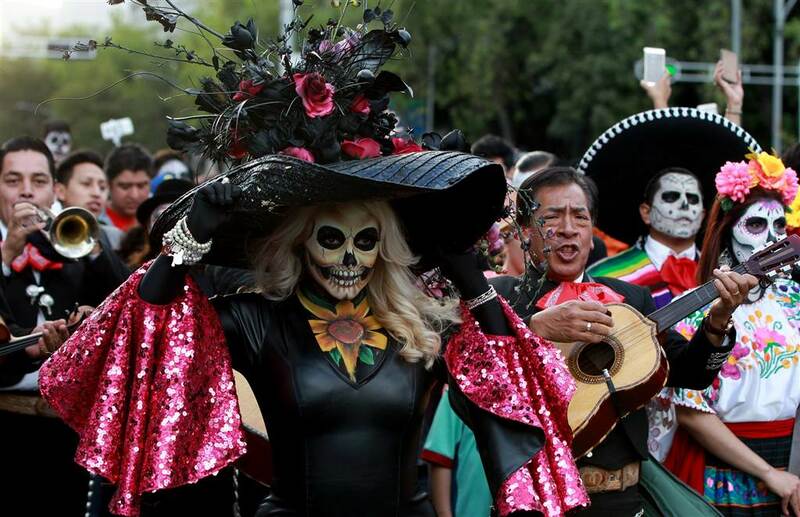 The festivities were dedicated to the goddess known as the "Lady of the Dead", corresponding to the modern La Calavera Catrina. 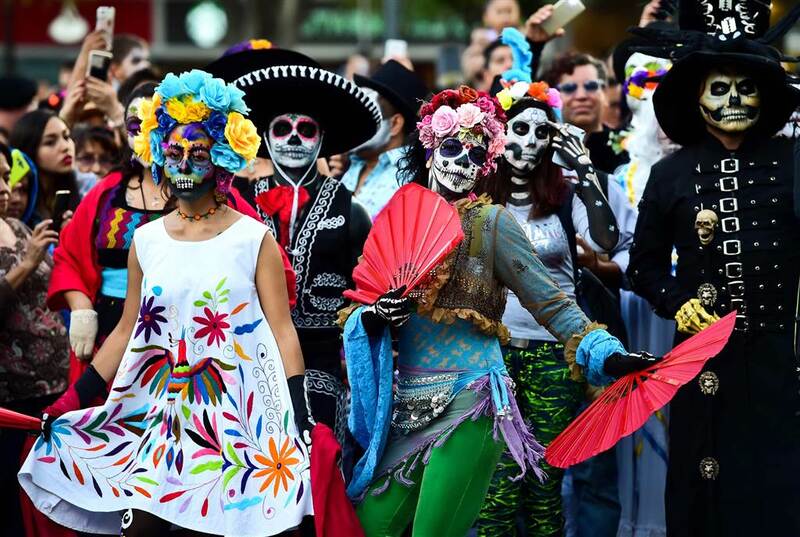 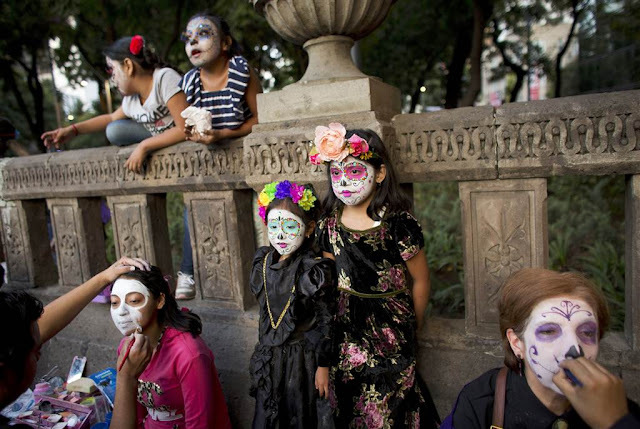 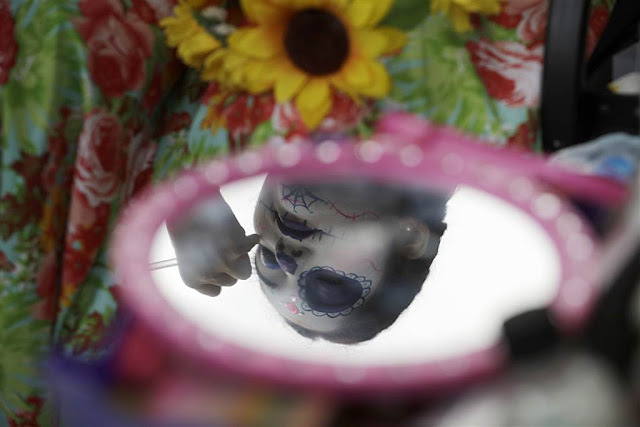 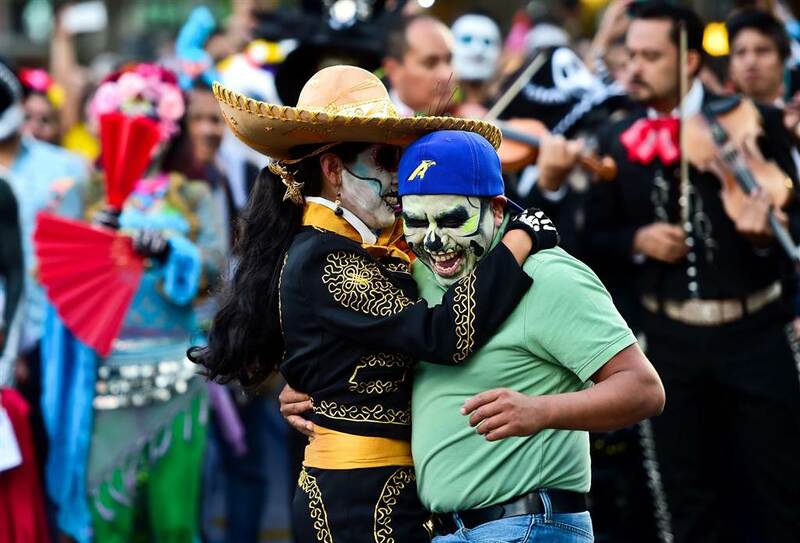 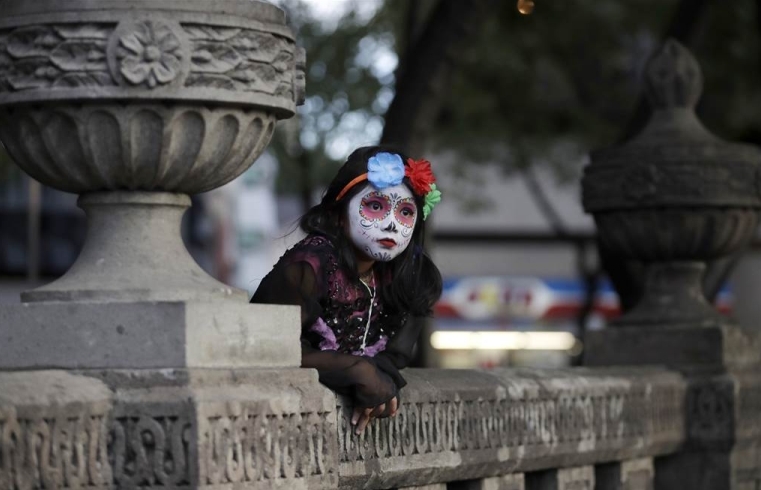 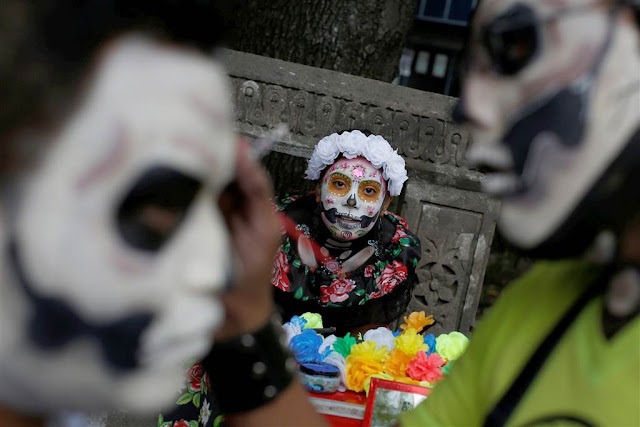 Responses to "In Mexico City, Face Paint and Fanfare Pave the Way for Day of the Dead "